One of a kind item. 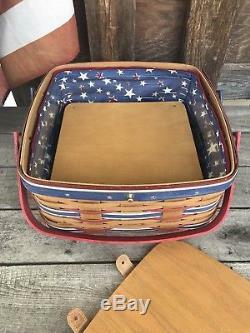 Production prototype of the American picnic. 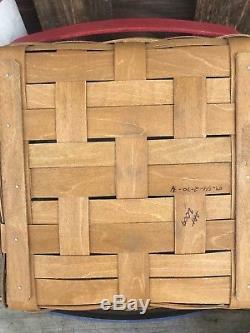 This concept model has 2 rows of highlight weave as opposed to one And very cool punched out star design on trim strip. Plus one red and one blue handle. All accessories were added from the final product. Protector and riser From the actual final production item. 12 by 12 by 8. 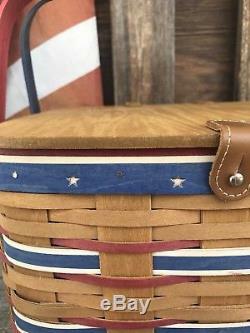 True one of a kind Longaberger creation. 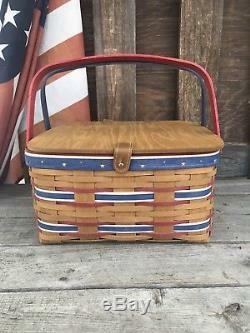 The item "Longaberger Prototype All American Picnic Celebration Basket One Of A Kind" is in sale since Sunday, July 22, 2018. 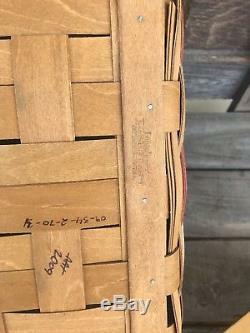 This item is in the category "Collectibles\Decorative Collectibles\Decorative Collectible Brands\Longaberger\Baskets\2005-Now". 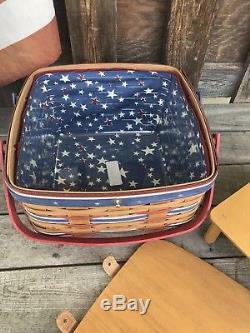 The seller is "the_basket_seller" and is located in Dresden, Ohio.